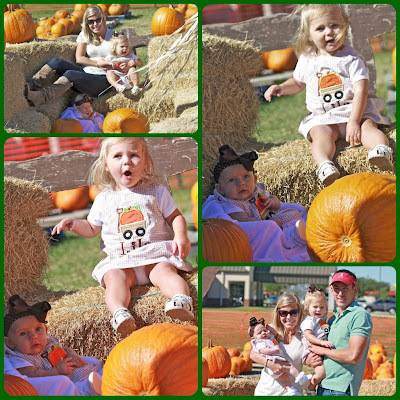 Josh had another unexpected day off (for the record, most of his days off are unexpected, and we just have to take advantage! 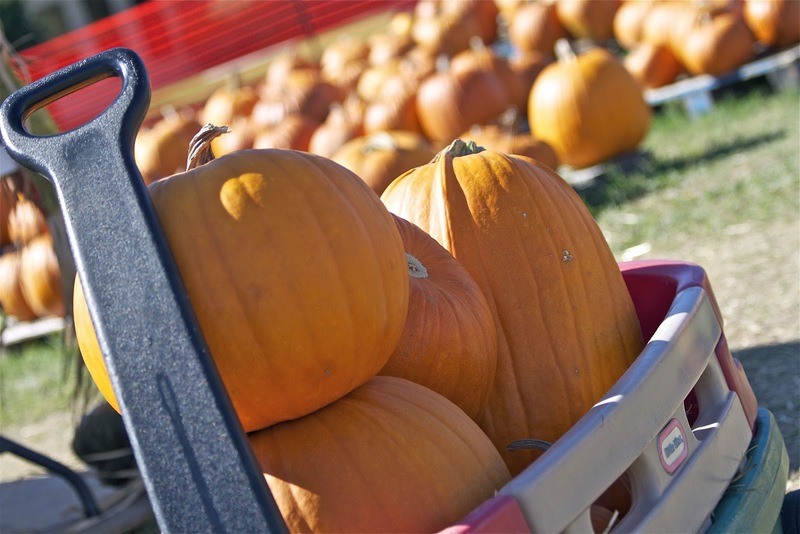 ), so we went to pick out some pumpkins at a local church's pumpkin patch. Lila is in love with pumpkins, so we knew that she'd have fun with a whole field full of them, and she surely did! 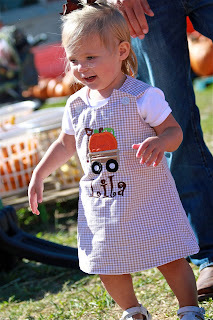 She didn't know where to start and kept running from pile to pile to try and pick up the pumpkins. 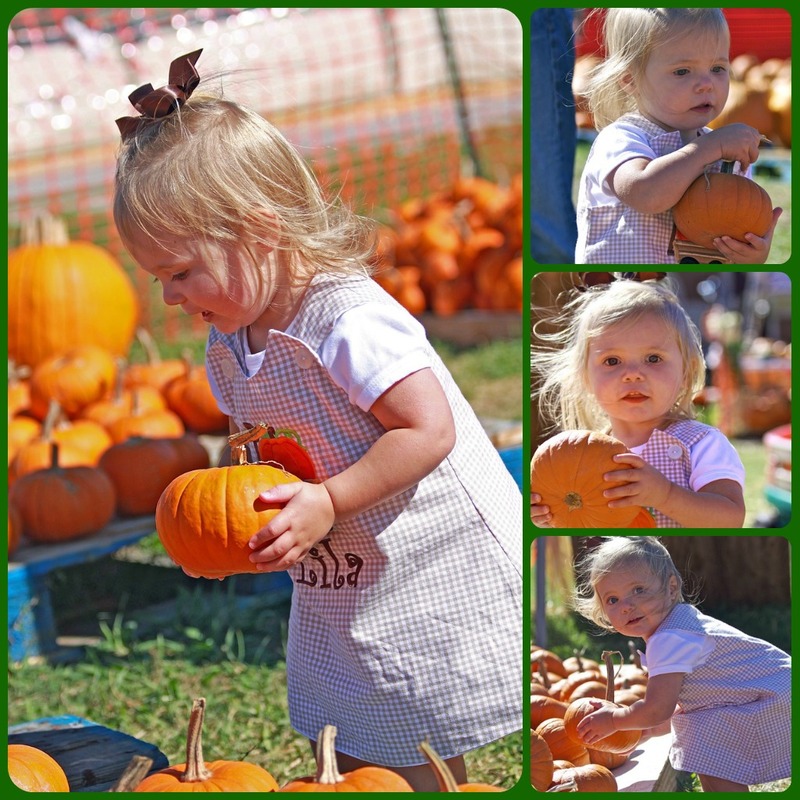 It was pretty funny to watch her try and pick up the giant pumpkins, but made quite the mess when she found the pumpkins that were more her size. 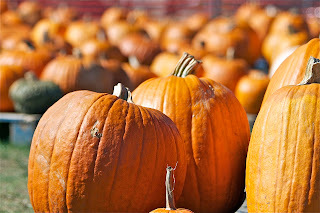 Of course I took a ton of pictures because I just love how bright orange pumpkins make the perfect photo op! 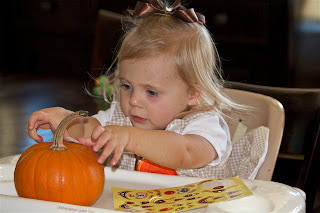 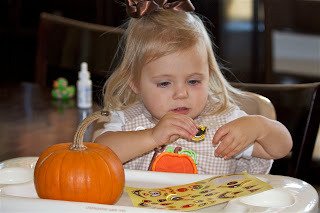 When we purchased our pumpkins, the man working the booth gave Lila stickers with which to decorate her little pumpkin. 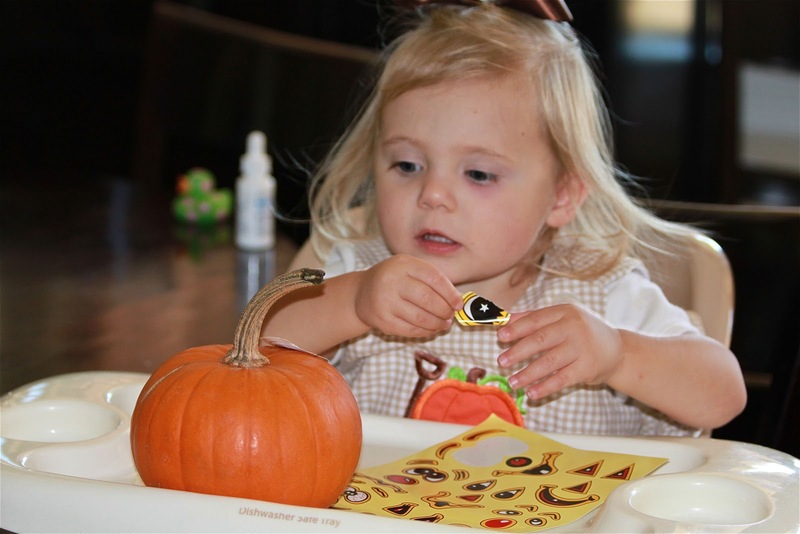 She had a great time sticking the little eyes, nose, and mouth on her little pumpkin.